I have been only once, but I have never cruised before. I was invited by MSC cruises once more to witness the christening of their new amazing SEAVIEW ship. It is the biggest boat ever built in Italy. This time I got to spend a bit more time on it, giving me a chance to really experience the life on the ship. 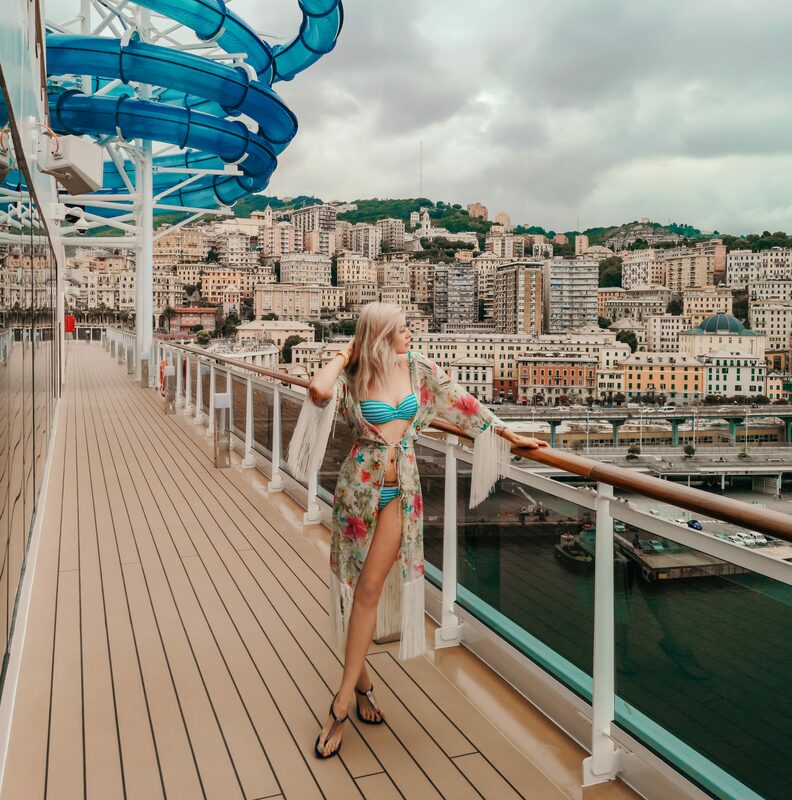 We didn’t leave the port of Genoa to explore the open sea, but that didn’t stop us from experiencing the ship. BTW: All the photos in this post were taken with Huawei p20Pro, so enjoy them. Cruise ships are these wonderful adult theme parks, where you just sit and enjoy, and once in a while when you open your balcony door, you see a new country or a new island. It’s like enjoying a resort in many different places, except you don’t have to move from place to place. MSC Cruise ships have a certain feng shui. It’s all glittery, sparkly, relaxing and spacious. On each floor, there are bars and restaurants and facilities for entertainment. It is hard not to enjoy all the fruits of this massive steel island. One thing is for sure. You are not dieting on this ship. All the buffets and restaurant, even the chocolate bar, are just inviting the hedonist in you to indulge in all it has to offer. You will find yourself walking around with an increased appetite, trying to get a flavour for everything this moving gastronomic ship has to offer. I loved walking around and checking out the chefs while they made amazing food for their guests. I’m not going to lie. Charles and I got a couple of days without the baby, so my favourite part of the MSC Seaview was the champagne bar. We had a lovely boozy time sitting around chatting to the waiter while we tasted different flavours throughout the hour. On the night of the christening, we had a red carpet event. So I went for this cocktail dress by Krie design. Last year i missed the red carpet event, because I gave birth and needed time to recover. This time I got to really see the gala event and what’s it all about. I learned that MSC does a lot of charity for kids in Africa who need education, medicine and food. It is always nice to see a big company giving back to the people. MSC is also a partner of UNICEF, so in a big crisis, they use their ships to deliver all the necessities people may need during catastrophic events. There were many celebrities on the christening, and it was so interesting to meet other huge influencers and artists that came to support this big event. We enjoyed the fireworks and the end, and we had a private concert by Zucchero on the top floor of the cruise ship. We all thought it will be where the stage was, but were surprised by it being behind the slide. However, it was magical.